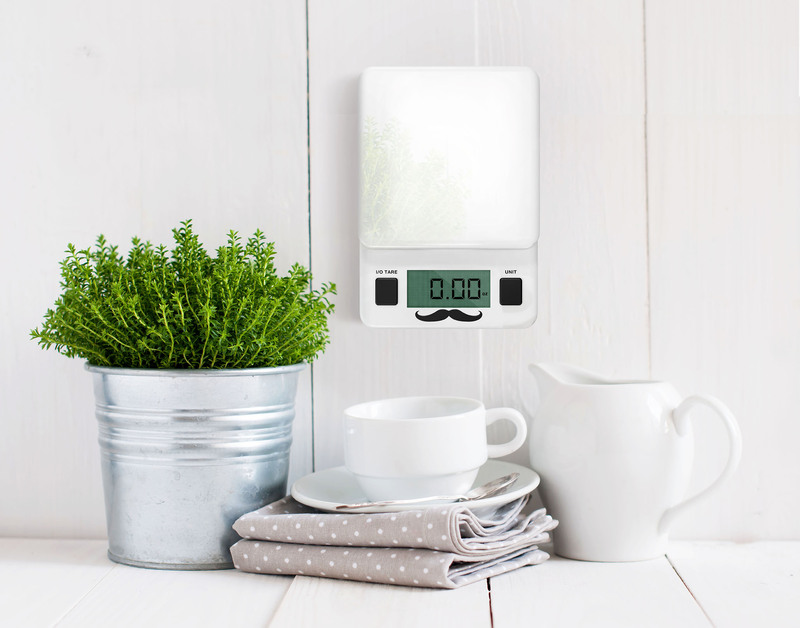 I just got this great digital kitchen scale from Weighter. The display is digital and works great. It’s small and light weight which I love because honestly I don’t have a lot of counter space so I just put mine in the drawer and just take it out when I need to use it. It has a nice sleek design that I love and fits really well into any kitchen decor. I also love that it has a little mustache, so cute! The scale is very accurate and I have had no problems using it. I even compared it to other scales that I had to check to see if they gave the same readings. I like the small light weight design because it allows you to easily move it around the kitchen with you, easy storage, and easy to handle and manage. I had no problems getting the scale to turn on and move between functions. It weighs in grams, kilograms, ounces, and pounds. The white surface makes it extremely easy to clean. I just use a rag to wash mine off. If I have used raw meat on it then I disinfect with soap and hot water and a disinfectant cleaner but it is really easy to clean. A must have for any cook in your life. GOOD LOOKS – Weighter™ is Pleasing to the Eye On The Counter or Wall With His Sleek Design and Charm. Light Things Up and get the Right Feel Amongst, sterile objects in glass and steel! In Clean Modern White, Weighter™ Will Serve You Just Right! ACCURACY – Weighter™ is Reliable, Sturdy and Easy to Use! What He Does, He Does the Best, No Excuse! Not too many Bells and Whistles, Less Is More. He is Also Slim and Easy to Store. Precise graduations of 0.05 oz. (1 gram) SCORE! WORKFLOW – Powering up the Scale With a Bowl, Will Automatically Subtract its Weight With Control. The Precision Tare Feature Calculates the Weight of Ingredients Individually not as a Whole. Add One by One When Baking In a Bowl. Just Tare In Between and You Will Be on a Roll! OPPORTUNITY – Limited Time Offer Upgrade to Make it Greater. So Get Your Personal Weighter™ Now Rather Than Later!